Playwrights rarely choose social care as a subject but new play Me, You & George Clooney focuses on the strong bond between Nellie and her care worker Nigel. Since being mugged, Nellie has become a recluse spending her day shopping online and becoming addicted to daytime television. Nigel’s regular visits are a godsend to Nellie, as they sit down to watch her favourite programme, ‘This Morning’ over a biscuit and a brew. She is over the moon when Heart throb and celebrity chef Gino D’Acampo appears on the show wearing nothing but a skimpy piece of underwear knitted by Nellie. Nigel arranges for Nellie to appear on a Phone-in with ‘This Morning’s’ life coaches The Speakmans to help cure her phobia of lifts which might just end up saving her care worker's life. This new production was created by Manchester based charity MaD Theatre who offer quality drama workshops for disadvantaged young people and adults across Greater Manchester. They also tour their own original work and come to Halifax Square Chapel on Friday May 10 . 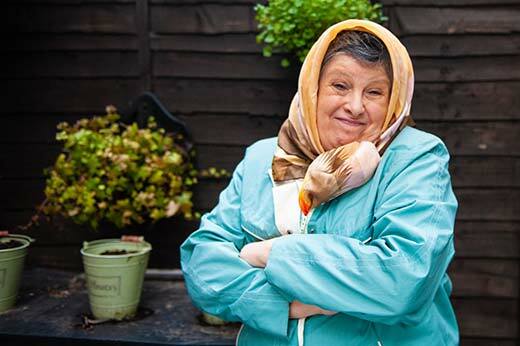 “We made this to look at the contribution that social care workers make every day in our communities but it is also a heart-warming comedy about gossip, friendship and family,” says MaD Artistic Director Rob Lees. Me, You & George Clooney is on the Square Chapel’s Cooper Auditorium on Friday 10 May.